Activated carbon fiber cloth is a synthetic alternative adsorbent which is a conventional granular activated carbon used for capture and recovery of volatile organic substances from gas streams. Activated carbon fiber cloth has up to twice the adsorption capacity of typical granular carbon and is more suitable to electrothermal regeneration. Activated charcoal fibers are manufactured using rayon technical filament yarn, possess effective absorption, high-efficient absorption for low-concentrated solutions, easy to use, and easy to recover. They possess large specific surface areas, more adsorption area, reduces pressure losses and many more uses. Activated charcoal fibers are used as filters for organic substances when substance concentration level is low, for regeneration of organic solvents, galvanic grouts purification, oil-separators for sewage water at gas stations and car cleaning stations, air-cleaners / odour-absorbers, used as super-capacitors, as water purification filters, filtering material for protective clothes, gas-masks for contact with toxic substances or poisons, welding gas filtration, smoking room filter, cigarette filter, filtration or purification of vodka and other strong beverages. According to the study “Asia Activated Charcoal Fiber Industry Situation and Prospects Research Report”, activated carbon fibers are used as alternative adsorbent materials with thinners, light-weight, and efficient respirators because of their larger surface area, lighter weight, and fabric form. Activated carbon fibers are majorly used in respiratory protection against toluene in various toluene industries. Therefore, more thinner and efficient respirators are manufactured using activated carbon fibers. Activated charcoal fibers are widely used in many industries due to their great adsorption properties and desirable physical properties, such as high mechanical strength, thermal resistance, light weight, and safety profile. The industrial and commercial uses include water treatment, gas masks and equipment for removal of toxic gases. Various applications of activated charcoal fibers are in solvent recovery, air purification, water treatment, catalyst carrier and others. Various products in Asia’s activated charcoal fiber are pitch based activated carbon fiber, polyacrylonitrile (pan) based activated carbon fiber and viscose staple based activated carbon fiber. Activated charcoal fiber in Asia market is geographically spread across China, Japan, India, Korea, Saudi Arabia and other regions. 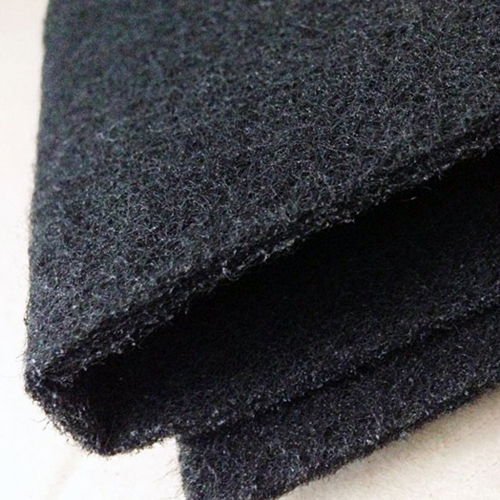 The leading manufacturers of Activated charcoal fiber in Asia market are Toyobo, Kuraray, Unitika, Gunei Chem, Evertech Envisafe Ecology, Taiwan Carbon Technology, Awa Paper, HP Materials Solutions, Sutong Carbon Fiber, Jiangsu Tongkang, Anhui Jialiqi, Nantong Senyou, Kejing Carbon Fiber, Nantong Beierge, Nantong Yongtong, Xintong ACF, Nature Technology, Hailan Filtration Tech, Sinocarb Carbon Fibers, Nantong Jinheng and Zichuan Carbon Fiber. Majority of the manufacturers are investing heavily in research and development to improve their products. The leading vendors are focusing on creating strong brand names, offering well-established products, and exhibit long-term reliability. The vendors are increasingly competing against each other based on factors such as price, features, and product quality. Water treatment is the largest application of activated charcoal fibers because it is used in municipal wastewater treatment and other industrial processes. It is used in the treatment of water in aquariums, groundwater remediation, and potable water. To meet the stringent industrial process requirements of water in beverage production, energy and life sciences, activated charcoal fibers are used. Mercury emission in Asian countries is increasing due to the rising electric production in countries such as China and India. The stringent environmental regulations due to increasing automobiles in the developing and developed countries will witness a steady growth in activated charcoal fibers market over the next few years.